I’ve talked in a previous post about how Email Marketing through e-newsletters can be used to build bring traffic either to your website or blog, and ultimately enhance your small business's overall brand by nurturing the relationships you have with your customers. I’ve noted how email marketing can be used to build your reputation as an information resource to your core audience, and let your audience know that you’re an authority in your area of expertise. I’ve also highlighted how it keeps you connected with your audience, and it gives you the opportunity to stay relevant and provide useful information that they’ll appreciate. Additionally, I’ve mentioned that if you sell things, or at one point will want to promote something, it’s a great way to have a “pre-sold” audience who trusts you and your opinions, and it helps you build traffic and enhance your brand, while engaging in activities that help your business’s bottom line. Step 1: Sign up for an Email Marketing Service. I’m currently using MailChimp under their “Forever Free” program that allows you to have up to 2000 subscribers and send 12000 emails per month. No expiring trials. No contracts. No credit card required. In my opinion, this is THE BEST email marketing program for someone looking to grow and build their email marketing list! It’s been my experience that it’s not the best for importing a large list from a personal database, or another email marketing program, but for those just starting out with email marketing, this is the best (and cheapest) service out there. Plus, it gives you the opportunity to find out if email marketing and e-newsletters are really a worthwhile long-term investment of your time and money (and I’ll note that MailChimp’s paid programs are comparable to many of the other paid email marketing services out there). One of the market leaders in email marketing would be Constant Contact and chances are if you’re receiving several email newsletters currently, at least one of them is coming from Constant Contact just based on the prevalence of the service. They have monthly plans that start as low as $15 a month, and they offer a lot of additional solutions like online surveys, event marketing solutions that assist with planning events including tracking registration and payments for events. Yet another paid option is Vertical Response, which offers a free trial where you can send 100 free email newsletters to test their service. Step 2: Add people to your list (ethically). I want to emphasize “ethically” because there are rules and regulations to how you can add people to your list. For instance, just sending a blanketed business-related email to everyone in your email address book can be considered “spam”, especially if you did not acquire their email through a legitimate business transaction within the last 18 months. Most email marketing programs give you the option of “importing” or adding email addresses, but I would advise against doing this for the email addresses you already have in your address book for a number of reasons. First, just because you have someone’s email address, that doesn’t mean they’re interested in your newsletter or its content. And second, if you add them to your list, and they receive email from you they don’t want, and unsubscribe from the list or report you as spam to your email marketing service, you can be kicked out of it. The best thing to do (in my opinion), is extend an offer personally to the people in your address book to sign up for your newsletter. This is great because it insures that you only have the people who are truly interested in your content. True, it might mean that you start off with fewer people on your list, but hopefully, over time, with good content, you’ll grow your list, and grow it with the right intended audience that’s open to receiving your message. Again, I can’t stress this enough: Do not randomly add people to your newsletter list without their permission! This one particular issue is something that hits close to home as I get annoyed with being added to newsletters I didn’t opt into. And it makes me twice as likely to report you for spam to your email marketing service and my email provider. I’d much rather prefer if a person contacted me directly to announce their newsletter, then gave me the option of subscribing to it, as opposed to me receiving yet another unsolicited message in my already overflowing inbox. Step 3: Use the tools of your email marketing service. For example, MailChimp has a lot of functions and integrations that let you not only see statistics on who opened your newsletter and when, but also what they clicked on, if they forwarded it to someone, and a host of other options. Additionally, you can set up automated messages or “autoresponders” that send a message to your mailing list (or even only a subset of the mailing list that you identify) at a specific time or date in the future. Luckily lots of great functionality is typically packed into just about any email marketing service you choose, so choose a free service like MailChimp, or a free trial with Constant Contact or Vertical Response and just dive right in! Step 4: Create Interesting Topics. I would suggest as a general rule of thumb writing 1 newsletter article per week, if you have the time or at least one per month to stay relevant to your audience. Also, there’s lots of research out there on what kind of email marketing schedule works best, and when’s the best time to send your letter, and there are plenty of places who work out all the science and methodology behind what works and when. But the best rule of thumb in this situation would be to determine the time schedule that’s going to work best for your audience AND decide if you have enough content to consistently put out content on the schedule you’ve set. I typically work to create “evergreen content”, which is “timeless” content that can be reproduced again over the years without much information that gets “dated” quickly. Another good tip I would suggest is to write out in advance, 52 topics that you’d like to hit with your newsletter within a year. It seems like a lot when you say it, but if you manage to keep your content light, fresh, and relevant, it’s not hard to stamp out 52 topics very easily. Or, if that number seems too daunting, start out with 4 (i.e. a month’s worth of topics) and watch how many new topics you’ll come up with from just that 4! Step 5: Watch the Analytics of your Newsletter. The final step in creating and producing your email marketing e-newsletter would be to watch the analytics of your newsletter. As I mentioned, most email marketing services give you the option of knowing just about everything your subscribers are doing with your newsletter messages. Use that information and analyze it for what it’s telling you about your audience. What do people click on most? What doesn’t get any clicks? What type of subject lines get opened the least? All this is information that you can use to improve your newsletter over time. Also, be sure to integrate a feedback survey at some point to get feedback from your subscribers and find out directly what they think of your newsletter. Over the next couple of weeks I’ll be sharing more information about email marketing and e-newsletters, including sharing my own personal journey of creating and disseminating the SSS for Success “Social Media Covered” Newsletter due to be unveiled soon, so stay tuned. 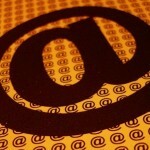 In the meantime, I ask: Are you using email marketing in your small business? Tell us some success stories. Just found this article it was an eye opener made me start thinking I can do this. Thanks. Glad it was helpful for you. MailChimp is a great program, and it's very user-friendly. Feel free to contact me (Kindra) through the Contact Us page if you need further assistance getting your newsletter set up. Also, check out the brief video tutorial on Creating an Email Marketing Newsletter.